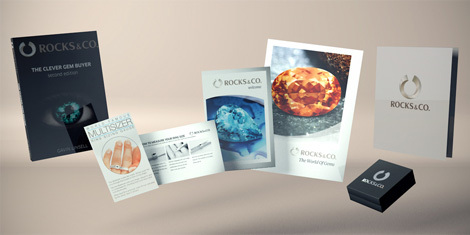 Diamond | Gemstones from A-Z at Rocks & Co.
Back Home Gemstone Information Diamond | Gemstones from A-Z at Rocks & Co. Formed in the mantle at the very heart of the earth, Diamond derives its name from the Greek 'adamas', which means 'unconquerable', certainly appropriate for the hardest and one of the most valuable of all gemstones. The only gemstone comprised of a single element, Diamonds are crystalline carbon. As a 10 on Mohs scale, they are the hardest known natural mineral. Most are between one billion to 3.3 billion years old. Greek philosophers thought Diamonds were 'alive' with celestial spirits, Romans thought they were tears of the gods or splinters from falling stars, while Hindus believed they were created by lightning striking rocks. From the middle ages to the renaissance, they were purported to possess a variety of esoteric abilities to counter life's troubles, including instilling bravery, courage, invincibility, strength and virtue, as well as the power to drive away nightmares. 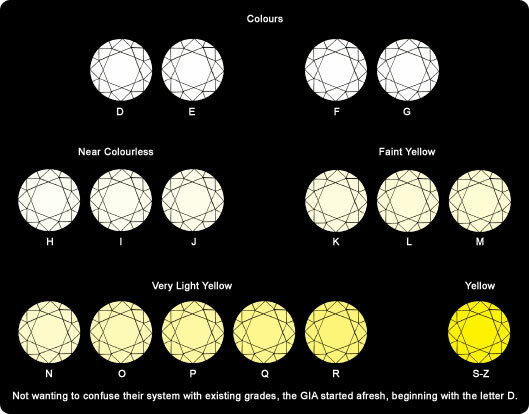 An ideal Diamond should be one with the best balance of dispersion (fiery flashes of colour, scintillation (play of light) and its characteristic brilliance (white light reflections). In bright light, Diamonds can display the entire colour spectrum of the rainbow and as the gem is moved its facets sparkle in the play of light. Brilliant cut was introduced specifically for Diamonds, the 57 faceted cut is ideal for displaying brilliance, fire and sparkle. Apart from its cut, a Diamond's brilliance will also be determined by its colour, inherent transparency (clarity) and fluorescence. 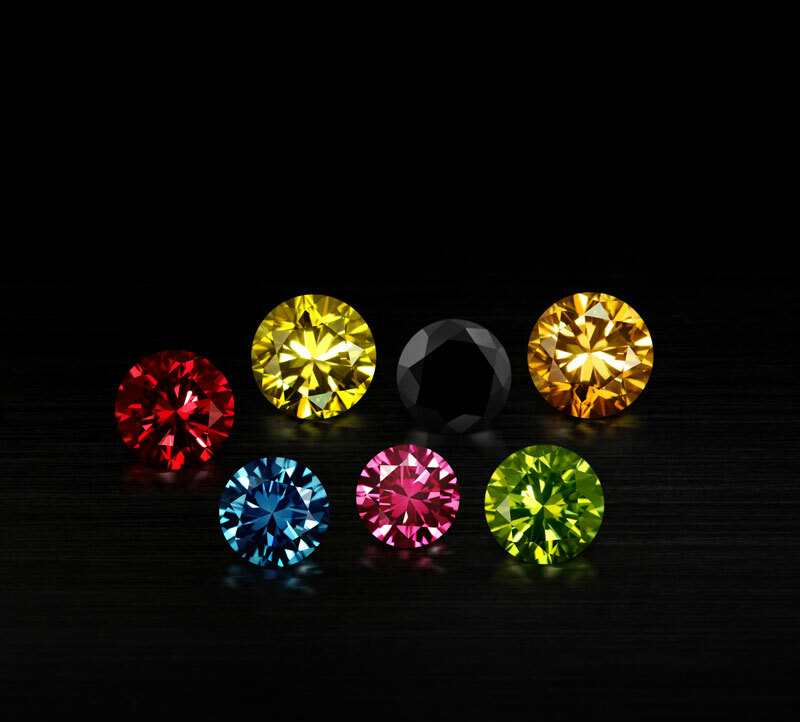 While most people prefer colourless Diamonds, they can come in an array of colours. To the untrained eye, most Diamonds look colourless, but to the expert, minor differences can equate to big price differences. 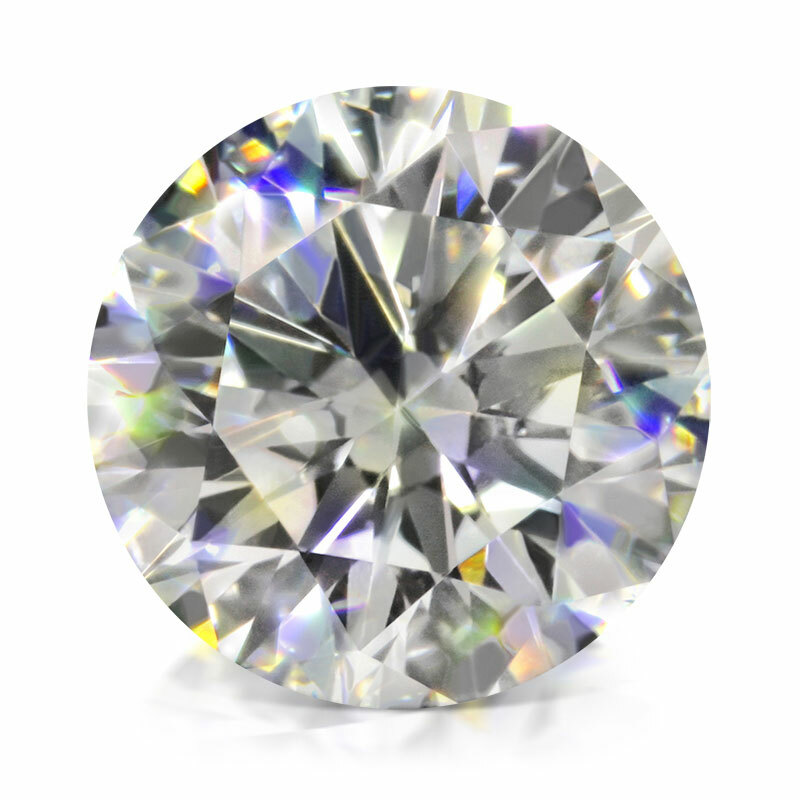 While true colourless Diamonds are extremely rare and priced accordingly, near colourless Diamonds or those with barely perceptible secondary tints (brown, grey or yellow) offer better value for money. Flawless (FL) Shows no inclusions or blemishes under 10x loupe. Internally Flawless (IF) Has no inclusions when examined using 10x loupe and only insignificant minor surface blemishes. Very Very Slightly Included (VVS1 & VVS2) Contains minute inclusions that are difficult to see under 10x loupe. Very Slightly Included (VS1 & VS2) Contains minute inclusions when observed under 10X loupe. Slightly Included (SI1, SI2 & SI3) Contains inclusions that are noticeable under 10x loupe. The Rapaport Diamond Report, the definitive pricing guide for Diamonds, added SI3 to its price list after the EGL (European Gemmological Laboratory) started issuing certificates with the SI3 grade. Included (I1, I2 and I3) Contains inclusions that are obvious under 10x loupe. Until Brazilian Diamonds were discovered in 1725, India had been the world's only source, with records dating back to at least 800 BC. Ancient Europeans were probably introduced to Diamonds via the Persians, scoring their first mentioned in Roman literature in the 1st century. Today, approximately 65 percent of the world's Diamonds come from African countries. 'Blood Diamonds', also known as 'conflict diamonds' are Diamonds mined in a war zone and sold to finance fighting. The United Nations mandated 'Kimberley Process' eradicates 'blood diamonds' via a government-regulated system adopted in 2000 by more than 40 countries; only participating countries may lawfully export rough Diamonds and only to co-participating countries. Today, thanks to the Kimberly Process, over 99 percent of the world's supply of Diamonds is conflict-free. Coloured or Fancy Diamonds are extremely popular and are sometimes described as 'two gemstones in one' because they give you colour plus the characteristic sparkle of a Diamond. 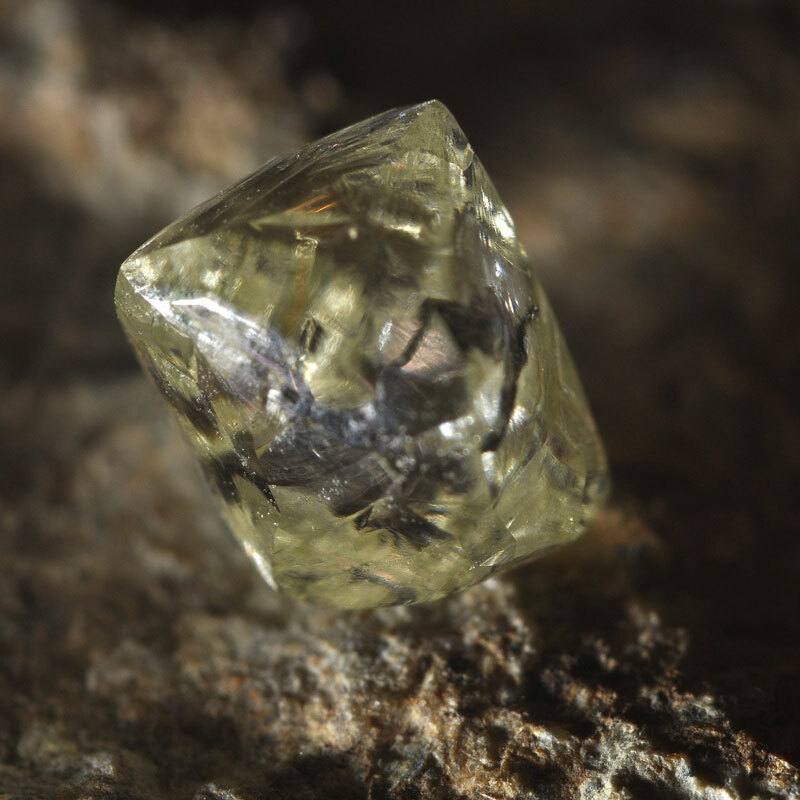 Diamonds are comprised of carbon and because of their compact atomic structure, trace elements that colour other gemstones just can't get in. So instead of being coloured by chromium, titanium and vanadium, Fancy Diamonds owe their hues to boron, hydrogen and nitrogen, as well as crystal imperfections (colour centres). Not surprisingly, Coloured Diamonds are exceedingly rare in nature, resulting in the vast majority of what's available in the marketplace being colour enhanced.